Holiday Walmart Retail Check Street Team Project! 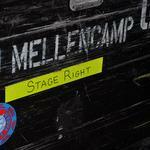 John Mellencamp Community > MELLENCAMP.COM ANNOUNCEMENTS > Announcements & Updates > Holiday Walmart Retail Check Street Team Project! Thank you to everyone for participating in our most recent Walmart Sad Clowns & Hillbillies store checks! We have one more opportunity to win several cool prizes! We need fans once again to help out with a JM Street Team project by checking their local Walmart Stores during the holiday season. We need you to confirm that Sad Clowns & Hillbillies is available for purchase in the stores. Fans will submit their observations via an online form. Fans who submit a Walmart store check, will be entered into a random drawing for 3 cool autographed merch package that includes Walmart gift cards! If you have a Walmart store by you and are interested in helping out please email help@mellencamp.com with the words "HOLIDAY WALMART RETAIL CHECK" in the subject of your email. Be sure to tell us what city/state you will be checking. We will reply with more info! Each participant will be required to email a photo of their store selling the album along with the address of each store checked.